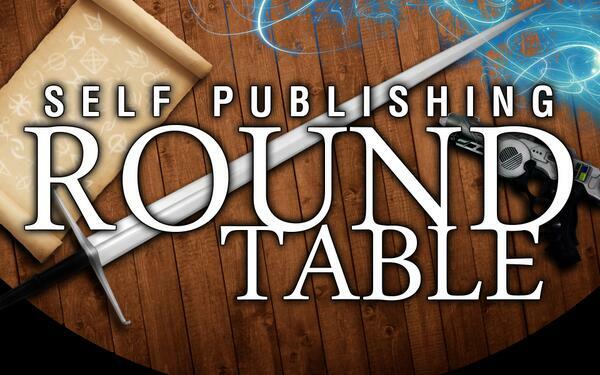 Welcome to episode 21 of the Self-Publishing Roundtable. Our bearded uber-runner co-host Bill Dowis has decided to step down as a regular for personal reasons. He will still be around and may show up from time to time. But for the time being, he won’t be on the show. We decided not to rob you of a potential sixth member each week so we have hired someone new to replace Bill. This author will be revealed live this week on the show (and will be with us next week for episode 22). This author is very experienced, successful and is tapped into the indie community like few I have come across. I hope you will join us in welcoming them during the show. Now onto the news for the week. It’s been a busy week so we will be focussing on featuring the five biggest stories on the show. If we get time we may cover the rest, but just in case I’ll post them here for you to read anyway. Bookbub Marketing Blog – Bookbub is a favorite marketing site among indies for the generally excellent results it provides when advertising with them. They have become one of (if not the biggest) bargain and free book mailing sites in the world. Not only that, they have done it in a very short period of time. On their new blog they will be sharing all they have learned when it comes to marketing to readers. This is a potential goldmine of information for all indies so we think it’s worth being a feature story this week. Createspace Cover Changes – Createspace is the one of the most used sites for creating print on demand books for indies. The biggest issue most indies have had is the sometimes lower quality of the end product, compared to a site like Lightning Source. The biggest advantage to CS is that they are owned by Amazon. This week they opened up matte finish to book covers helped to improve the books indies can buy. We think this is pretty cool and a big step for Createspace moving forward. Hardcover next please! Amazon.com.au – Amazon launched an Australian version of their e-book store this week. In addition they are finally releasing the Kindle Fire to the Australian market in time for Christmas. This is a big step towards securing the market, which Kobo has a foothold on at present. The new store offers the 70% royalty to indies, unlike some of the other affiliate Amazon stores. This could turn into a big market come 2014 if the Kindle Fire does well over the holiday period. Carl is going to squeal about this a fair bit. Here is the press release. Erotica In Decline – An interesting article about the declining sales in erotica. We’ll discuss this and consider where erotica authors might move, if this trend continues. Especially given the recent Kobo Gate issues with erotica. Trad For Indie Success? – Traditionally published authors have a better chance of making it in Indie publishing because of their existing fan base. This kindle boards thread came about because of a blog post by an editor from Harper Collins who said authors with no previous traditional background and no existing fan base, found success in self-publishing to be “elusive.” On the surface this comment seems like it should be true. But is it? Indie Rights – An indie author’s guide to the various rights they hold, and how they can exploit these rights. Marketing YA Books – This is a great article on writing and marketing YA, but I think the points transfer to adult fiction as well. We have quite a few listeners who are writing in this genre, it might make for a good discussion. E-Books Up At Harper Collins – E-books are profitable for Harper Collins. More sales in the big 5 just brings more attention which is good for self-publishers. Waterstone in with Amazon – In launch materials for Amazon Source, the program to allow independent bookstores to sell kindle readers and ebooks, Amazon highlights that it was the partnership with Waterstones that delivered the infrastructure now available to independent bookstores. Print-On-Demand While You Wait – a PoD centre that could literally print your books while you wait for them. Anyone have any ideas on when this could be useful for you? Kobo launches new pricing tool – Kobo has launched a new pricing tool. Basically this new pricing tool lets the author set a price change in the future. If they were trying to compete with Amazon’s Countdown program, they fell way short. It doesn’t have any kind of promotion associated with it, it doesn’t let you keep your higher royalty if you drop your book down to .99, and there is no way to let the reader know through the product page that the discounted price is a short term thing. Authors Avoid Controversy? – An article from NYT that said surveys are showing that a huge chunk of authors are avoiding controversial topics in their writing because of fears of government watching them. I think this is massively important to freedom of speech, and more.